Bombardier agrees to buy Global 7500 aircraft wing program from Triumph Group Inc.
of the company’s flagship business jet. 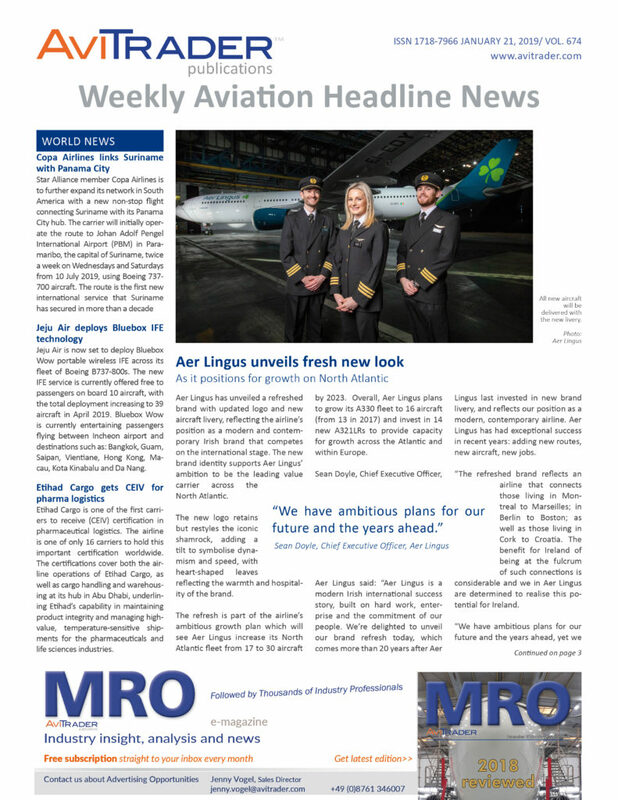 The wing program will be incorporated into Bombardier’s Aerostructures and Engineering Services segment while Bombardier will enter into a lease agreement for Triumph’s Red Oak, Texas, facility to enable it to continue the the production line with current staffing. expected to close in the first quarter of 2019, subject to certain closing conditions. Bombardier will assume ongoing working capital investments and usual costs associated with the program’s production ramp-up, which are expected to fall within Bombardier’s consolidated 2019 EBIT before special items and free cash flow guidance ranges, and 2020 objectives. On a business segment level, Aerostructures revenue guidance for 2019 is adjusted upwards to between US$2.25 billion to US$2.50 billion, reflecting additional intersegment revenues. The segment’s 2019 EBIT margin before special items guidance is also adjusted to approximately 7.5%, reflecting marginal earnings from these additional sales during the program ramp-up. For 2020, the EBIT margin before special items objective of 9% to 11% remains unchanged. Following negotiations between Air France management and the two unions representing its pilots, SNPL and SPAF, a tentative agreement has been reached. This draft agreement proposes changes in pilot remuneration and introduces the necessary flexibility on certain rules of use to support Air France's strategy. The SNPL Board, which met January 23, voted in favour of a consultation with all pilots on this agreement, the result of which is scheduled for mid-February. Dan Reida, V.P. of Sales, Marketing, and Support for Universal Avionics (UA), has announced that Tal Golan has been appointed to the newly created position of Rotorcraft Business Development Manager. Turkish Airlines will launch its inaugural flight to Mexico on August 21, 2019 with a triangle route from Istanbul (IST) to Mexico City (MEX) and Cancun (CUN). The route will operate three times a week and passengers will be the first to experience the airline’s new B787-9 aircraft, which debuts its latest Business Class. The Mexico City – Istanbul route will be operated from Turkish Airlines’ new home at Istanbul Airport, slated to be the world’s largest once all phases are completed. The newly-opened hub, which will eventually serve up to 200 million passengers a year, will play an important role in the future of Turkey’s aviation sector as global aviation shifts eastwards, with Istanbul at the centre. The smart and innovative design of the airport, already the recipient of many design awards, will allow a streamlined travel experience for travellers flying with Turkish Airlines to enjoy the widest global network. MAC Aero Interiors, has signed a four-year contract with TUI Group for the refurbishment and retrofit of its Boeing 767’s lavatories. AAR, a global, independent provider of aviation services, and Lake Superior College (LSC) have announced expansion of their partnership to further enhance instruction and career prospects for students enrolled in the aviation maintenance technician program at the college’s Center for Advanced Aviation. The new AAR EAGLE Career Pathway program will expand LSC’s aviation maintenance technician (AMT) program to include job shadowing and mentoring opportunities, as well as academic support and monitoring. Students who pursue the Federal Aviation Administration (FAA) aircraft mechanic’s certificate are eligible for up to US$15,000 in tuition reimbursements. LSC President Patrick Johns and leaders from the community and technical college joined AAR’s Ryan Goertzen, Vice President of Aviation Workforce Development, on January 24, for the official announcement at the Center for Advanced Aviation. AAR and LSC have collaborated since 2013 on marketing and recruiting, and to extend apprenticeship opportunities. interested to pursue the coveted position of FAA-certificated airframe and powerplant (A&P) mechanic. There is a predicted shortage of 189,000 new AMTs in North America through 2037, according to a Boeing study. Patrice Provost has been appointed President of Nexcelle, the joint venture of Middle River Aircraft Systems and Safran Nacelles that provides engine nacelles for integrated propulsion systems on jetliners and business jets. Air Lease Corporation has announced the lease placement of one new Boeing 737 MAX 9 aircraft on long-term lease with Samoa Airways, the flag carrier airline of Samoa. The aircraft will feature two CFM LEAP-1B27 engines and is scheduled to deliver in Spring 2019 from ALC’s order book with Boeing. AJW Technique has achieved Japan Civil Aviation Bureau (JCAB) approval under the Bilateral Aviation Safety Agreement (BASA) between Transport Canada (TCCA) and the Japan Civil Aviation Bureau (JCAB). 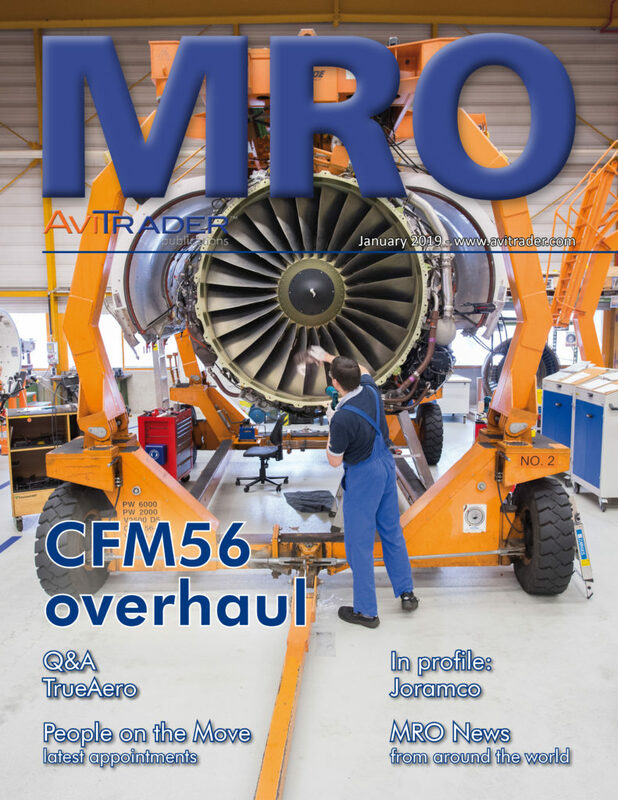 The news sees AJW Technique become the first independent components MRO to gain this approval under the Bilateral Agreement, a notable achievement for the business. JCAB is the latest authority to add to the growing number of regionally specific approvals already achieved by AJW Technique, the AJW Group’s Montreal-based MRO. sector, the Agency’s extended environmental remit now includes, amongst other things: maintaining state-of-the-art environmental standards; certifying aircraft and engines against environmental standards; environmental modelling; research on new emerging topics (e.g. sustainable aviation fuels, electric and hybrid engines, drones, supersonics); promotion of improved environmental performance and international cooperation projects on environmental protection.